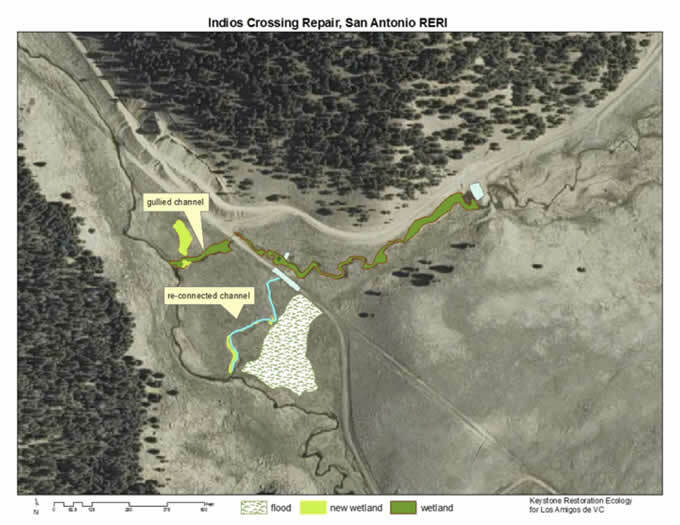 Rio Ruidoso Assessment Report6.74 MBKeystone Restoration Ecology, working in partnership with Stream Dynamics Inc., performed an assessment of the Rio Ruidoso Watershed. Sixteen miles of the Rio Ruidoso and its tributaries was walked and almost 1000 resource damage points noted, as well as other ecological features for each creek. From this assessment, a prioritization of 24 separate projects was suggested to the Rio Ruidoso Restoration Committee. 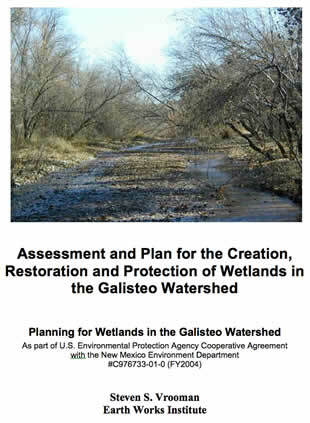 Galisteo Assessment pdf-linkKeystone Restoration Ecology was the author and sub-contractor behind the assessment and report of the "Assessment and Plan for the Creation, Restoration and Protection of Wetlands in the Galisteo Watershed", a document produced by Earth Works Institute under contract with the NMED's Surface Water Quality Bureau's Wetlands Program. This work involved interpretation of maps, local interview and GPSing of all the known wetlands in this 730 square mile watershed. 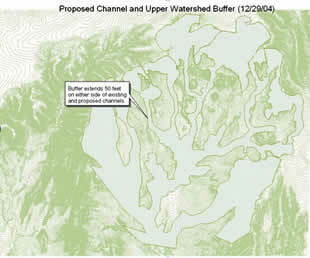 Wetland restoration plans were written for wetland assessed. Keystone Restoration Ecology (KRE) has expertise in watershed restoration techniques and monitoring these techniques. KRE has participated in the writing and editing of several watershed plans collaborating with different organizations and municipalities.